Changes in educational funding make vocational education Russia’s Cinderella sector. Each year for the last four years, students at Russia’s technical and vocational colleges – builders, mill operators, carpenters, cabinet makers, not to mention florists, beauticians, cooks and apprentices in other trades and occupations – have gathered in various cities in Russia. They are contestants in the WorldSkills Russia national competition, which was established to raise the status of vocational secondary education. The winners travel to the international WorldSkills final, where they will compete with students from other countries. According to a report by Russia’s Higher School of Economics, young people’s interest in vocational education is dropping significantly. In the year 2000, 115 out of every 10,000 students were studying for clerical qualifications, but by 2013 this figure had fallen to 50. The number of students studying for other middle-level qualifications is also dropping, from 161 per 10,000 in 2000 to 144 in 2015. These students attend a variety of vocational and technical secondary schools and colleges, and the system has undergone considerable change in the last decade, but not always for the better. Russia’s vocational secondary education system has generally retained some elements of its Soviet predecessor. It comprises two types of institutions: the so called training programme for skilled workers and clerical staff (lasting two and a half years), until 2013 known as the basic vocational skills course, and the middle-level programme, or secondary skills course (lasting three years ten months or more). Three years ago, it was decided to merge these two streams. The lower level course, traditionally taught at vocational-technical schools, trained carpenters, cabinet makers, cooks and nurses, often in institutions dating from pre-revolutionary times. The middle level course was taught at technical colleges and trained future foremen and -women and skilled workers who would go on to lead teams of workers. This part of the system also included colleges for the creative arts, educating budding musicians, actors and artists. Vocational-technical schools and technical secondary schools began to lose their reputations in the 1980s, as factories started to close and there was no money to train a highly skilled workforce. The very names became a kind of insult, so by 2000 they all adopted the English term “college”. Then they were merged with stronger institutions, as were schools and universities. Olga Druzhninina, a teacher at Moscow’s College of Architecture and Management No. 17, says that the merger of colleges and technical schools into one system has just added to the confusion. “I graduated from the first technical school in the USSR to train architects,” Olga tells me. “And for a while it was the only one. It had its own areas of excellence, its own history. And is there work to go to afterwards? After all the mergers, the range of courses offered by Russian colleges has been stretched to the limit – you can find architects and car mechanics training in the same institution. On the one hand, in Russia’s big cities this situation has been dictated by the need to cover every specialist area, to avoid students having to travel. On the other, this approach reflects the demands of the market and funding issues – the need to teach everything together at the same institution is designed to cut costs. In addition, Moscow colleges have stopped offering free places to students from outside the city (they have to enrol in the fee-paying department), so many parents of potential students from the wider Moscow region find themselves asking whether it’s worth it. Fees for a college can be higher than those for a university. At Moscow’s International College of Arts and Communications, for example, the annual tuition fee is 140,000 roubles (£1730), and a year at the Carl Fabergé College of Decorative and Applied Arts will set you back 126,000 roubles (£1560). So the status of today’s technical schools and colleges is heavily dependent on how easily their graduates will find jobs afterwards. But the problem here is that it is practically impossible to monitor their career paths – young people are no longer assigned jobs by their schools and colleges, as was the case in Soviet times, and have to find them for themselves. Some colleges make an exception as part of a town or city’s social policy, when they have agreements with local firms to help graduates into work. Druzhninina tells me that even if a college can’t find work for a successful student, it will try to send him or her on an internship or work experience placement: “I don’t even know where they find jobs. They used to get work in design studios and colleges, or with property developers, but the present crisis has made all this more difficult. The market has collapsed, and everything connected to construction and project development along with it. It’s not just college students who are financially insecure, but their teachers as well. Teachers’ salaries at secondary level vary according to where in Russia they live, as they are dependent on municipal and regional subsidy programmes. According to the Trud.com website, which monitors the labour market in Russia, the average monthly salary across the regions in this sector is a mere 12,500 roubles, only 40% of the national average. 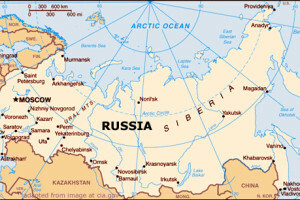 Teachers who work in the far north, places like Magadan, Kamchatka or the Nenets Autonomous Region, are entitled to a hardship supplement and earn about 30,000 roubles a month – the same as those in the Moscow region. But in the capital itself, 45,000-50,000 roubles is considered a good salary, and only experienced senior teaching staff earn any more than that, So if you don’t have that track record, your salary can be miserly even in Moscow. Konstantin Kharitonov is a qualified history teacher who worked for two years in a Moscow business college, where he earned 16,500 roubles a month – practically the minimum wage. “In my first year I got an incentive bonus, and there were extra payments on national Teachers’ Day and 23 February, Defender of the Fatherland Day,” he tells me. “But last year the college budget was cut, so after tax my monthly income was just 16,500 roubles. The way the system works is that you get points added for various things – professional development courses, a Doctorate, publications. According to Kharitonov, however, teachers have been understanding about salary cuts: “In September, when we were paid less than usual, everyone was really cross. But since then we’ve just got used to the idea: there’s no money, and that’s that. But the other problem is that teachers don’t understand why their salaries are being cut. When we discussed the question of funding and the existence of free and fee-paying student places at a departmental meeting, we were told that there might not be any free education in the future, and, accordingly, no state funding for either student group. The funding cuts are having a direct effect on the work of schools and colleges and the quality of their teaching – teachers just won’t work for a miserly salary. Kharitonov’s bosses, for example, regularly asked him to take classes in subjects outside his field. He had to teach philosophy, Russian cultural history and the basics of teaching creative subjects, although he admits to knowing nothing about this: “I’m trained as a teacher. The creative arts are totally outside my area of knowledge. I was told that we had to teach them, and there was no one else who could do it, although they knew full well I hadn’t a clue.” In the end, Kharitonov was offered another job and left the college. All the surveys of expert opinion concur that employment rights are now almost non-existent, and teachers have stopped fighting for them – the only fight these days is a free-for-all for teaching hours, with every person for themselves. Kharitonov recalls how at his college, his work was monitored by another teacher who was desperate to take over some of his hours the next year: “She had the same level job as me, but she was constantly buttonholing my students and asking what I’d been teaching them, how well they had absorbed the material and how well I taught it. She was doing this ridiculous monitoring exercise off her own bat, hoping she’d be given my teaching hours: she even told the students that she would do all in her power to prevent me teaching them the following year. And the staff were very unwelcoming to new colleagues, including young ones, because there weren’t many hours to go around and everybody wanted more. Despite the shortcomings of Russia’s vocational secondary education system, it can accommodate students with both nine or 11 years of school behind them (i.e. both 16 and 18 year olds). Some of those who leave after nine years are just tired of sitting at school preparing for the National State Examination – those last two years are torture for some teens. According to architecture teacher Olga Druzhinina, all the myths about school leavers’ low levels of education are untrue: “The young people who leave school at 16 aren’t necessarily weak students. There are many different reasons for it: some are just fed up with school and want to begin their independent adult lives, and these include quite good students who are bored by school. A Russian language teacher at a Moscow school told me anonymously that many young people going to colleges also came from orphanages: “Very few of our students go on to vocational colleges, and those that do are mainly from children’s homes or fostered children. Children’s homes are keen to see their wards getting a occupational qualification and starting work – you could say they force them to go to a college. The rest of our students usually go on to better schools attached to universities, to prepare to continue their education at a specific university”.